Taken on the north shore of Lake Huron in Michigan's Eastern Upper Peninsula. The sun was rising on the left. 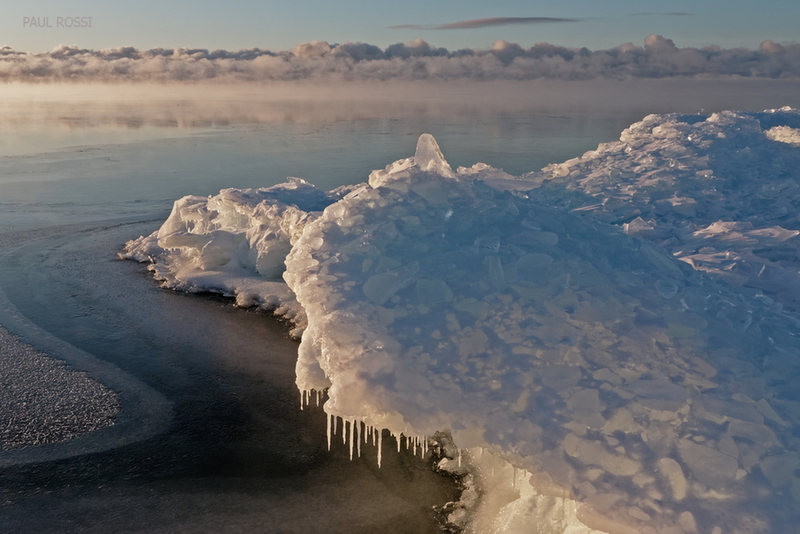 Very cold temps and open water in the distance created the steam and the clouds hugging the water further beyond that. Days before, wave action created the cave. Low angle sun illuminated the inside. Brrrr. Nice light and a cool ice formation. I wish you had focus stacked this so that the clouds would be in focus. The clouds and fog make it appear the ice is floating in the sky.